On sale now is the third and final issue of Hellboy: The Fury, the miniseries that concludes a myriad of stories, themes and even collaborations within the epic and unimpeachably excellent Hellboy saga by Mike Mignola and Dark Horse Comics, specifically those created with Duncan Fegredo. 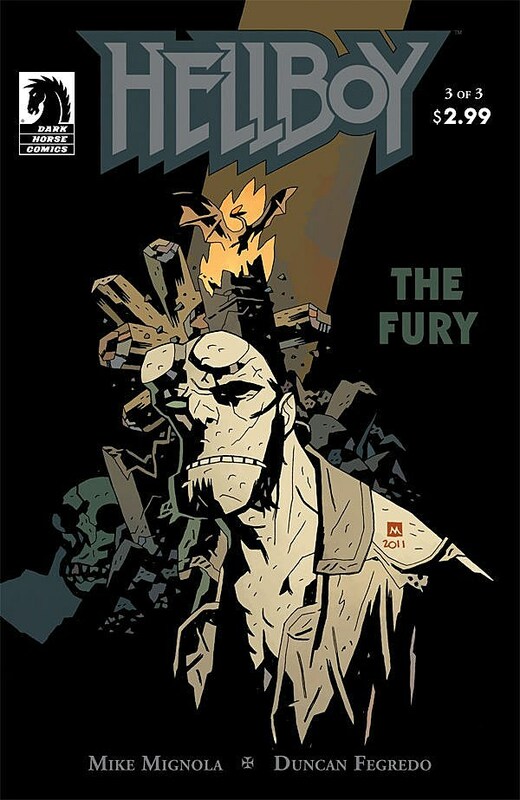 Where other "event" comics promise a conclusion to long-gestating plots and an aftermath that will "never be the same" as what's come before, The Fury truly, truly delivers -- and in such a way that's almost traumatizing for the longtime reader, but exhilarating for the relative newcomer. It's a practical impossibility to discuss the events of Hellboy: The Fury without spoiling a number of revelations that readers really must discover on their own. Instead, what I can tell you is that in terms of pure comicbookery, The Fury is the most deftly told adventure story I've seen in years. 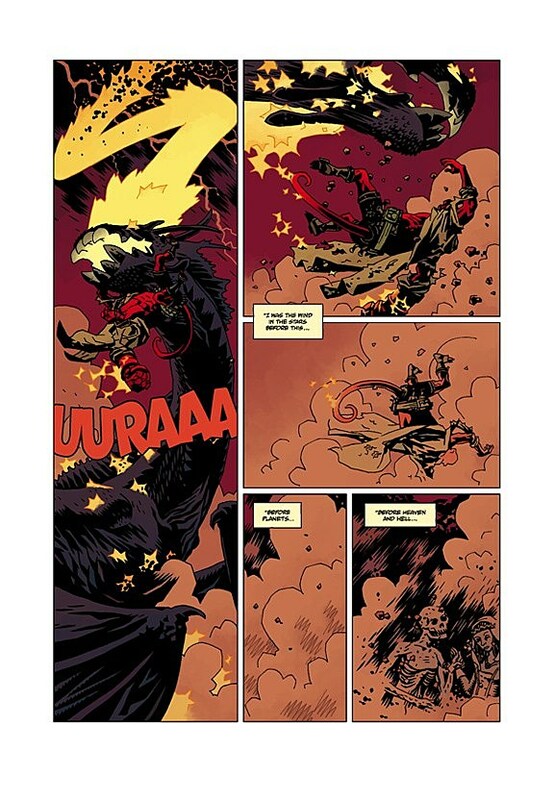 Across three issues, Mignola, Fegredo and colorist Dave Stewart transport the reader into a world of dead armies of good and evil, Arthurian legend, demonic treachery, an ocean of blood, and Hellboy battling apocalypse itself (whose arrival is perhaps the most shocking realization in nearly 20 years of Hellboy stories). Mignola's grave narrations, paired with the artwork of Fegredo and Stewart, convey a sense of doom and dread that is intense even for this superlatively gloomy and harrowing series, and it is clear just at a glance that everything is not going to be okay when The Fury is through -- and everything is definitely not okay. The crucial story movements that conclude in The Fury began in 2007's Darkness Calls, the first of three major works illustrated by Duncan Fegredo, and continued into The Wild Hunt. 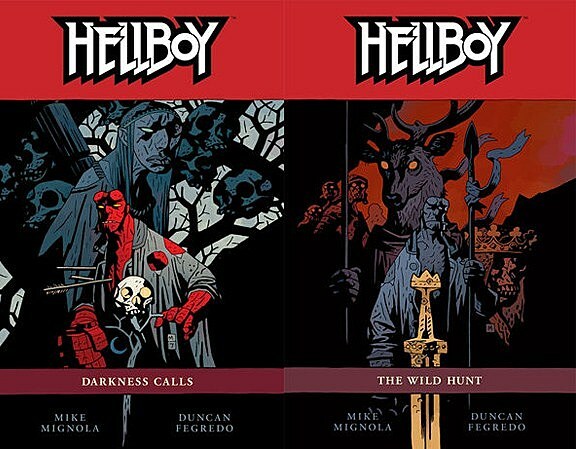 Both of those stories are available in paperback for those of you who are curious about the Hellboy saga. 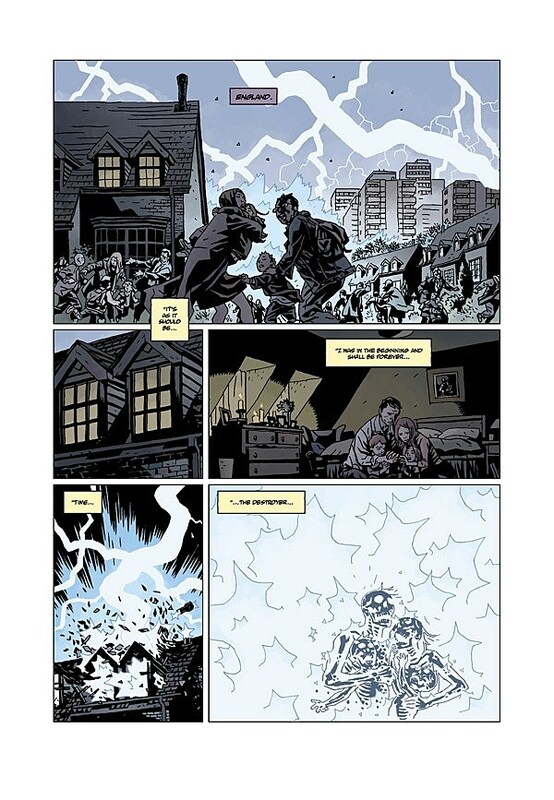 Mignola, who normally writes and draws Hellboy, chose to work with Fegredo because of his singular and self-evident ability to deliver a supernatural epic of this kind, and those books are good places for new readers to start (all three Fegredo works -- Darkness Calls, The Wild Hunt and The Fury, will doubtlessly be collected together in a handsome Hellboy Library Edition for dedicated readers), for The Fury is in every sense a concluding chapter and not a jumping-on point. While Darkness Calls makes a suitable beginning for the new Hellboy reader and you will have no trouble following your way through The Wild Hunt and The Fury, we do recommend that you start at the beginning, Seed of Destruction. There is arguably no such thing as a bad Hellboy comic, as the entire saga has been overseen carefully by Mignola himself along with editor Scott Allie. 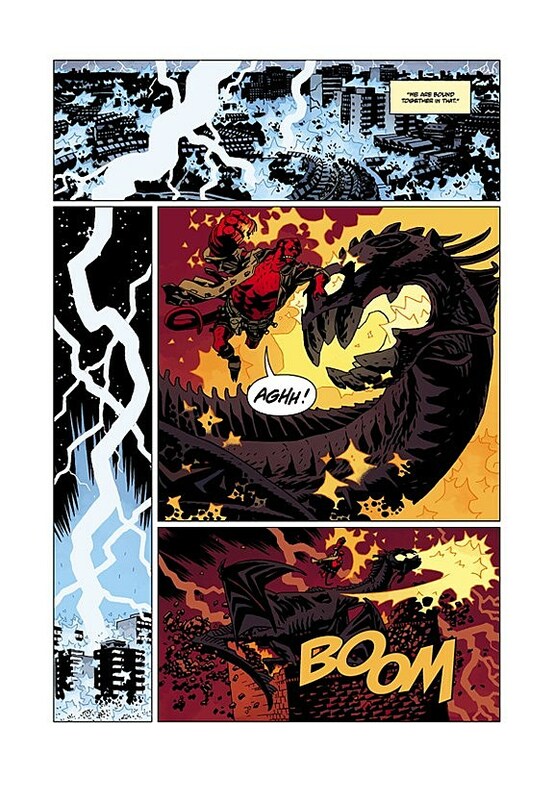 Every Hellboy story, whether short or long form, contributes to a larger tapestry that is not only entertaining but, as I can personally attest, offers you more bang for your buck in the form of numerous re-reads as the Hellboy saga grows ever larger. You can purchase the entire Hellboy library at finer comics shops and bookstores, online from Things From Another World, and digitally from Dark Horse Digital.